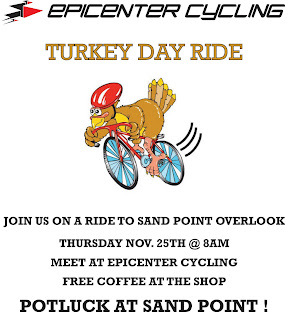 Epicenter Cycling Turkey Day Ride 8am! Since they don't have it on their site, I thought I'd pimp it here a bit. 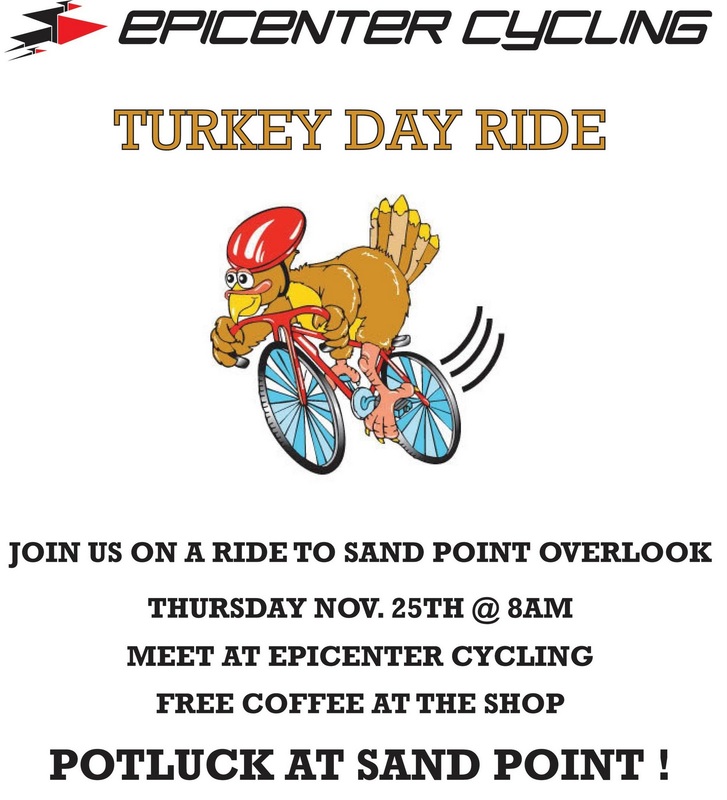 Epicenter Cycling are having a Turkey Day Ride! Free Coffee at the shop and a pot luck at Sand point if you feel like bringing some food!